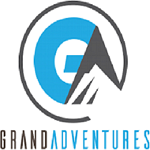 Grand Adventures, based in Colorado, is an amazing place for snowmobiling for the entire family of yours. We are your winter headquarters for snowmobile hire, guided tours and for having complete fun on the snow. If you are looking to enjoy the scenic terrain, get in touch with the professionals at Grand Adventures who can prepare the snowmobiling package for winter fun. We can organize self guided tours if you have no experience in the winter sport. Indeed, the guided snowmobile tour is a wonderful way to enjoy the snow. Now there is no need to confine yourself to the indoors when you can use the all terrain vehicle and enjoy the winter sport or experience outdoor winter adventure. Whether you are just a first time snowmobiler or an experienced rider, looking to ride the ATV on the off beaten tracks or head towards the remote areas, we can help you out in experiencing complete fun and excitement. The set of experienced guides will let you enjoy an unforgettable tour. Our tour packages range from 2 hours snowmobiling to the entire day cruising on the snow. To experience the best in side by side atv, call us at our toll free number 970-726-9247. Are you scared of getting stuck with the broken or wrecked snowmobile? Get in touch with us. When we are there, such things will never happen. Our guides offer trailside assistance for almost all models and makes. We also carry out trailside repair works to let you get back to fun moments. You can also make us emergency calls to get over with the situation. Our experts respond very quickly to the emergency needs.